Management Conference: Designed for upper level management staff, this program is only open to fair members. Program highlights include presentation of new CFEs, workshops and keynote speakers, committee meetings, a facility tour, and ample time for networking. 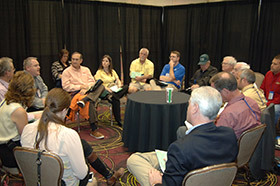 Specialty Seminar: The Specialty Seminar features a different focus in a three-year rotation. This event is perfect for the "specialist" at your fair, be it staff or volunteer, working in one of these three areas: concessions, commercial exhibits, and competitive exhibits; agriculture, physical plant operations, and year-round facility usage; advertising and sponsorship. Zone 7 includes Alberta, Colorado, Idaho, Montana, New Mexico, Utah, and Wyoming. Zone 8 includes Alaska, Arizona, British Columbia, California, Hawaii, Nevada, Oregon, and Washington. Institute Summit: If you are a volunteer, part-time or full-time paid staff member at your fair, you can join others involved with fairs, exhibitions and shows to focus on your professional development in a curriculum covering all aspects of management in the Institute of Fair Management. State or Provincial Meetings: Many states or provinces have their own annual meeting. Click here for our list of state/provincial association partners. Convention and Trade Show: See for more information in our convention tab at the top. 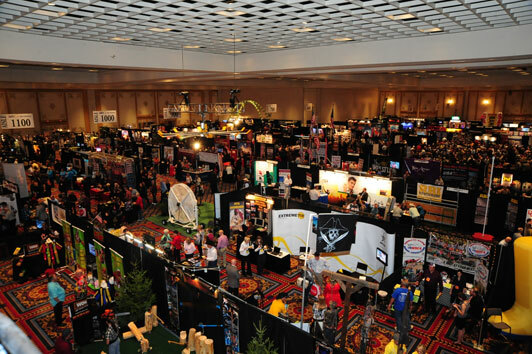 The Annual Convention and Trade Show is the largest event serving fairs, shows, exhibitions, and expositions. Convention attendees network and learn from each other and top professionals during the intensive four days of workshops, special seminars, round table discussions, and social events. The Trade Show allows companies to showcase themselves while serving as a one-stop shop for all your event's booking, product, and service needs. Associate members receive a $100 credit toward the purchase of exhibit space at the annual Trade Show. Library materials can be searched using a simple keyword search or more advanced phrases and categorical searching. Then items can be downloaded or requested from the IAFE Education Department. Take advantage of our member discount pricing for our available products. 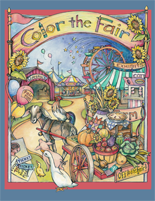 Complement your children's activities with the IAFE's most popular product the "Color the Fair" coloring books, add something special to your children's agriculture education programs with our Activity Displays, and promote literacy and increase participation in your fair with the Read & Win program. Members can also order audio and/or video recordings of CyberSeminars or any other recorded workshop. These items and programs can be used enhance your education program, gain more community involvement, and provide fairgoers with a memorable experience. 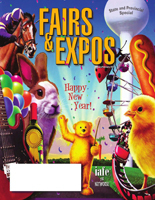 Published six times a year, Fairs & Expos magazine is the source for information about trends, innovative ideas, and association activities. The magazine is designed to assist you in sharing your successes and learning from the experiences of others. You are encouraged to take advantage of the opportunity to showcase your achievements in Fairs & Expos. One idea from this magazine or the Members Only section of the web site will more than pay for your membership. Each magazine will typically contain a Washington update, an Internet 101 article, an Eco Spot article, fair reports, fair news and photos, a calendar of events, messages from our board of directors/chair, associate news, meeting information, and many more articles that change for each magazine. You will receive a complimentary copy of the Annual Directory with lists of dates, attendance, and much more about each fair member. In addition, it is the handy reference that puts associate members, their products, services, and business activities in front of all members year round. 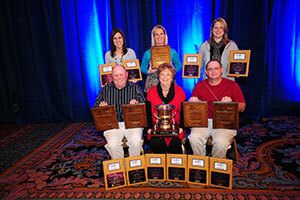 The Competitive Exhibits Contest recognizes excellence in competitive exhibit display methods and supplements the IAFE resource library by increasing the amount of helpful information available for you. The Communications Awards Program recognizes the outstanding advertising/promotional campaigns and is an absolute treasure-trove of ideas. You will enjoy special discounts from National Purchasing Partners, Hertz Rent-A-Car, Choice Brand Hotels, as well as one $5,000 AD&D insurance policy. The IAFE has teamed with National Purchasing Partners to provide IAFE members with exclusive discounts. Take advantage of special pricing on popular products and services for business and life. You can also share select offers with your employees. NPP membership is FREE and there is no obligation to buy. Join today to find exclusive pricing from Sherwin-Williams, Office Depot, Best Buy, Staples, HP, DocuSign, Best Buy, Skechers and more! Click any logo below to access benefits from that brand. NPP members receive national account contract pricing on paints, coatings and supplies. 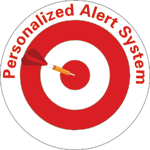 Also receive free services like order planning and specification recommendations. With more than 16,000 in-stock office supply products, Office Depot products and services meet the needs of NPP members nationwide. NPP members enjoy top-tier pricing from Airgas, a leading single-source supplier of industrial gases, safety equipment welding supplies, refrigerants and dry ice. Best Buy for Business offers top tier pricing on more than 150,000 items. Discounts vary upon item category. NPP provides discount pricing on more than 30,000 supplies and services with free next-day delivery on standard orders over $30. NPP members are eligible to receive 15% OFF new or additional subscriptions. Custom pricing and rebates available for subscriptions that meet or exceed annual spend requirement. NPP members receive 30% OFF select work and corporate casual styles from Skechers, including OSHA compliant footwear and work boots. NPP members save 20% OFF flowers, gift baskets and more through 1800flowers.com. Deliver smiles to friends, family, employees, clients and customers. TireBuyer is the most convenient way to buy tires online. NPP members get instant savings on brands such as Goodyear, Michelin and Bridgestone with FREE delivery to a local installer. NPP members save 50% OFF sunglasses and more from this renowned maker of premium sunglasses, snow goggles, moto goggles and Rx frames. Save on Payroll & HR Solutions for your small to mid-sized business with ADP. Take advantage of IAFE discounts from Hertz. For more information, including savings information and a discount card, please click here. One policy per membership, is made available at no cost and provides $5,000 of accidental death and dismemberment insurance to all members who have completed an insurance enrollment card and returned it to the IAFE Office. This coverage is limited to one individual per fair or firm. Each member may purchase additional policies for $4 per policy per year. The coverage being provided is commonly referred to as 24-hour Accidental Death and Dismemberment Insurance. This coverage provides protection 24 hours a day anywhere in the world against accidental death or resulting dismemberment. Contact us for an enrollment form or additional information. 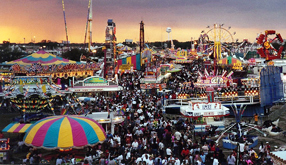 International Association of Fairs and Expositions' members are able to take advantage of a 15% discount at over 5,800 participating Comfort Inn®, Comfort Suites®, Quality®, Sleep Inn®, Clarion®, MainStay Suites®, Suburban Extended Stay Hotel®, Econo Lodge® and Rodeway Inn® brands and Ascend Collection® properties worldwide! Make reservations conveniently by booking online at www.choicehotels.com/deals/corporate-rate or by calling 800-258-2847. Now save even more! Sign up for the Choice Privileges® rewards program today to start earning points towards free nights, flights or more in addition to your 15% discount! It's fast, free and easy to join. Earn points at participating hotels. Go to www.choiceprivileges.com/signup/IAFAIRS today! Remember to book in advance. Reference both your IAFE Special Rate ID and your Choice Privileges member # to receive your discount while earning Choice Privileges points! If you have lost your Choice SOS Membership Savings Card and need the special IAFE ID number to obtain your discount, please call the IAFE office at 800.516.0313. Subscribe to the SOS Sentinel, a complimentary e-newsletter, to get the news about promotions, Choice Hotels International property information, new choicehotels.com features and more! Please make sure to note that you are an IAFE member. Where are you traveling? Choice Hotels is probably there! The Certified Fair Executive (CFE) Program promotes professional improvement of executives and recognizes those who achieve the rigorous standards of the CFE Program. 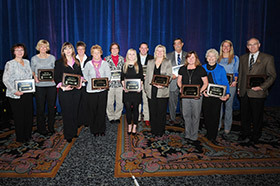 Certification is bestowed on individuals who have demonstrated their abilities through years of service to their events, communities, and the IAFE. The Hall of Fame award is presented annually in recognition of an individual's distinguished achievement in, or contribution to, the world of fairs, expositions, shows, and exhibitions. 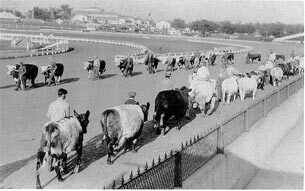 The Heritage Awards Program was launched in 1994 to honor the work of volunteer fair, show, exhibition, and exposition managers. The nominations are open to individuals who have at least 10 years of fair management experience and receive no more than $2,500 remuneration annually for serving in the position.